Former Atlanta Falcon now coaching defensive line. 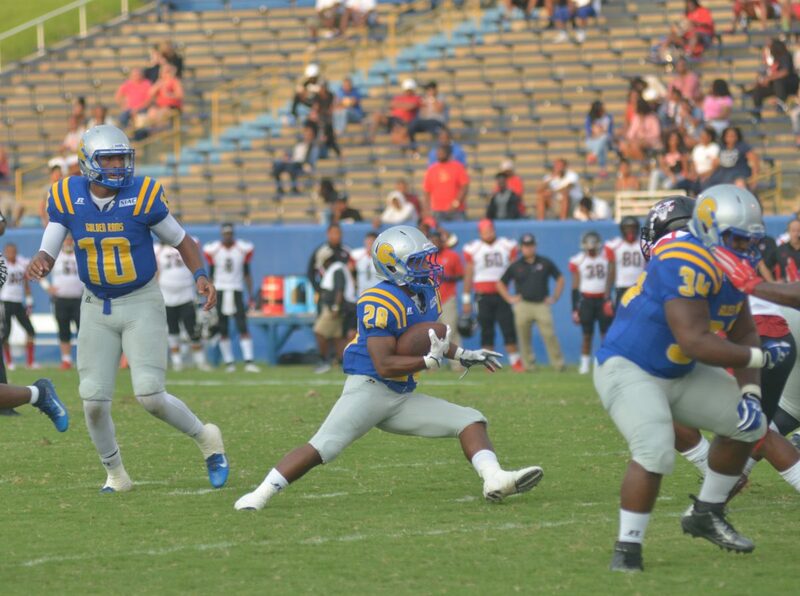 Albany State football will receive some guidance on the field this year from a guy who has played football at its highest level. Former NFL player Travian Robertson will begin his first season on the football staff at ASU as the defensive line coach for the Golden Rams. Robertson was a seventh-round draft pick of the Atlanta Falcons in the 2012 NFL Draft. He played two seasons for the Falcons and was signed in 2014 by the Seattle Seahawks. The Washington Redskins later claimed Robertson off waivers. Robertson joins ASU after spending one season as a graduate assistant at Georgia State University. While coaching in Atlanta he worked with the defensive line, mainly coaching the nose tackles. A native of Laurinburg, NC, Robertson played college football for the South Carolina Gamecocks. The Golden Rams kick off the 2018 season on September 1 with a road game at Valdosta State.